Cole Hamels is gonna make big bucks soon. Not only cause he's one of the better young lefties in today's game, but also because he's good. He's so good that he's been outperforming the Phillies' ace, Roy Halladay. Speaking of the Doc, doctors are examining his shoulder after he was roughed up by the Cardinals last night. 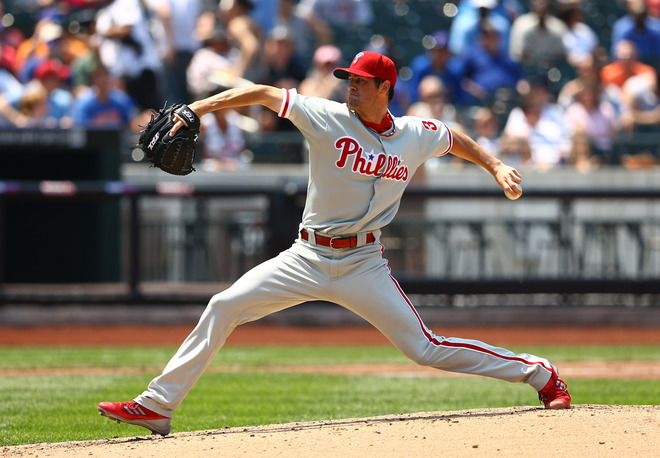 Hamels still has a lot to do if he wants to be considered the Phillies ace, but being the first to reach eight wins in the Major Leagues doesn't hurt.